EDITORS NOTE: THIS IS A REPUBLICATION OF A NEWS RELEASE BY LONG ISLAND MEDIA INC. AND CARS DIGITAL INC. ORIGINALLY PUBLISHED TODAY, 11/10/2017. 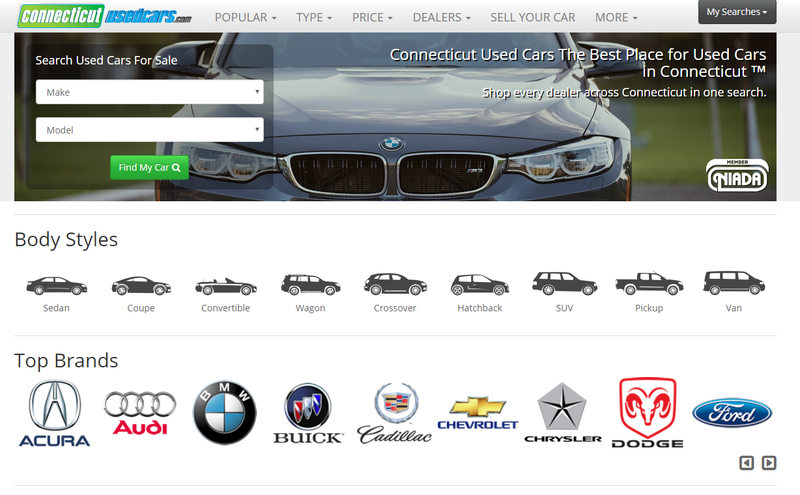 NEW YORK, NY – Today, Long Island Media Inc., with its new subsidiary Cars Digital Inc., has announced the acquisition, development and launch of ConnecticutUsedCars.com, a localized vehicle shopping portal which will build a foundation for the company in its neighboring state, Connecticut. 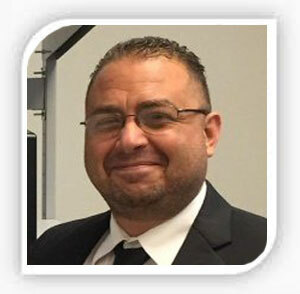 The company owns and operates Long Island and NYC related automotive sites such as its flagship LIUsedCars.com, with sister-services QueensUsedCars.com, BrooklynUsedCars.com, WestchesterUsedCars.com and other regional platforms, all of which share and syndicate inventory locally, helping used car dealers connect with used car shoppers. “Today we’re announcing the acquisition and launch of ConnecticutUsedCars.com to further cement our digital footprint in our surrounding Tri State area. 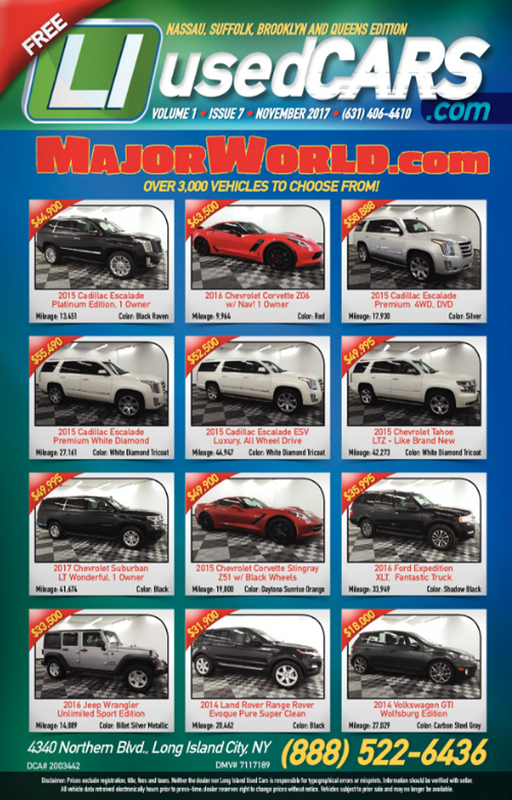 Long Island Used Cars has been a tremendous success for us here on Long Island and is supported with great web sites, fantastic .com naming rights, and a print magazine. Our small but aggressive and strategic minded company intends to duplicate our regional success and begin to enter markets where we can dominate local listing placements in areas which are considered just outside our backdoor” said company CEO John Colascione. Colascione revealed that its programs success is based not only on the digital services themselves, but the syndication and collaboration of third party data integrations through other major vehicle inventory search services and existing mobile apps including the highly popular San Francisco, CA based AutoList.com. Additionally, in October of this year, CDK Global, an automotive industry information technology company with more than $2 billion in revenues, announced the addition of 350 new partners, one of which is Long Island Media Inc., for its application, LIUsedCars.com. Such data import and export exchanges alongside its own on boarding processes including participating dealer accounts make it possible for the service to acquire near limitless data to serve consumers. “Our data partnerships including imports, exports, and security protocols, all built and developed in-house, are second to none. These internal, advanced software and programming technologies – which are owned by Long Island Media Inc. and not leased, allow us to compete in markets that are for the most part, either untapped or dominated by multi-million and even multi-billion dollar companies such as DealerTrack and COX Automotive” said Colascione. “Simply put, small companies such as ours having the ability to build and maintain such sophisticated systems is extremely rare.” Colascione added. Long Island Media Inc. owns and operates the largest privately held network of Long Island based web sites on the Internet. Collectively reaching over one million (1,000,000) people per month; its network provides a tremendous opportunity to influence consumers. On average, articles, stories and content reach in access of one hundred thousand (100,000) people per week on social media pages alone. Long Island Media Inc. also owns and operates digital and print automotive advertising businesses. No matter what you do or who your business serves, if you’re targeting the Long Islander, Long Island Media Inc. must be part of your marketing mix. For more information visit https://www.longislandmedia.com.